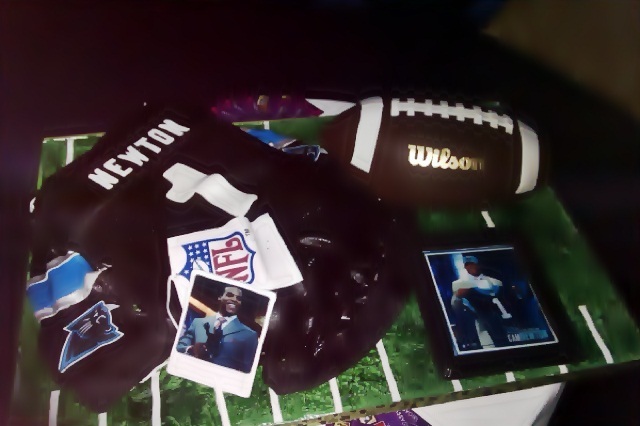 Check out Cam Newton’s football themed birthday cake. He said he wanted to be an icon; well his cake sure makes him seem more like a diva. Of course most SEC fans think that is the case anyways. In the cake pictured below, Cam is seen holding the Heisman Trophy and the Panthers jersey from the NFL Draft sitting atop of a football field and an edible Carolina Panthers jersey. 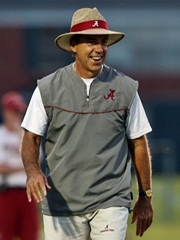 Nick Saban and his staff have reloaded again. With the February 2 signing day looming, the Alabama Crimson Tide has to be happy with who they have so far. They have commitments from 23 overall recruits. However, they have some of the highest rated recruits in this year’s class. They have also hit out of state recruiting hard, gaining WR Bradley Sylve, RB Demetrius Hart, LB Trey DePriest, DE Xzavier Dixon, and S Ha’Sean Clinton-Dix. They may also get the #1 overall recruit from Rock Hill, S.C., Jadeveon Clowney. 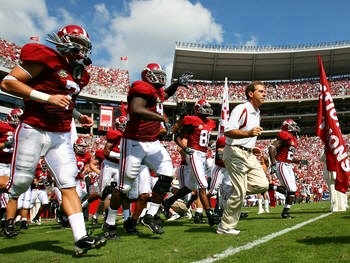 Alabama: Spring game April 16. Arkansas: Spring game April 16. Auburn: Spring game April 16. Florida: Spring game April 9. Georgia: Spring game April 16. Kentucky: Spring game April 23. LSU: Spring game April 9. Mississippi State: Spring game April 9. Ole Miss: Spring game April 16. South Carolina: Spring game April 9. Tennessee: Spring game April 16. Perhaps one of the greatest college football players of all time is set to make his first NFL career start Sunday against the Oakland Raiders. 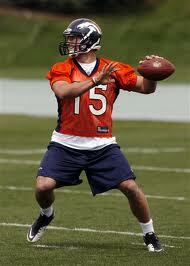 Of course I’m talking about the one and only “Captain Tim Tebow”. Adam Schefter of ESPN is reporting that the University of Florida grad will be the starting QB under center for the Denver Broncos. This should be an interesting game nonetheless. As we reach nearer to the end of the college football season, we must first play conference rivalry games. This week we have some of the best games of the year. Along with the importance of the games as it relates to records, many of these weekend games are some of the schools most envied opponents. So as sit and enjoy this great holiday…enjoy some great football. The two games this weekend that everyone seems to be talking about is the Oregon Ducks vs. the University of Southern California Trojans and the Michigan State Spartans vs. the Iowa Hawkeyes. Personally, I think the most fascinating game of the weekend is the Michigan State vs. Iowa game because of the physicality of the Hawkeyes. Michigan State hasn’t faced a team this year that will play them as tough as Iowa will. This game will show how good Michigan State really is or not. In addition, Oregon will really be tested by a talented USC team. Don’t be surprised to see this game closer than the experts suggest. Alabama still remains atop of the poll. The Oregon Ducks leapfrogged the Boise State Broncos after their win against Stanford on Saturday. Texas and Penn State falls out of the poll, after losing. 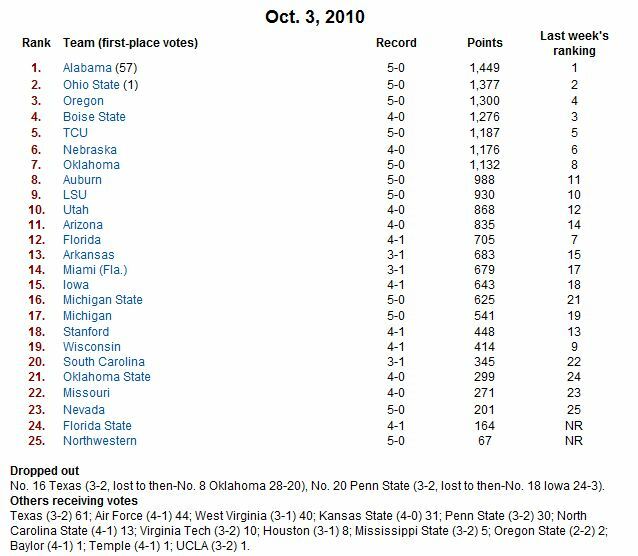 And Florida State (24) and Northwestern (25) narrowly made it into the poll. The Big East again has no teams in the Top 25.